Broken wheat/cracked wheat/samba gothumai rava is rich in calcium, vitamins carbohydrates, and iron. 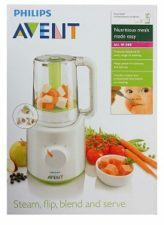 It is a filling food for babies and keeps them satisfied for long hours. 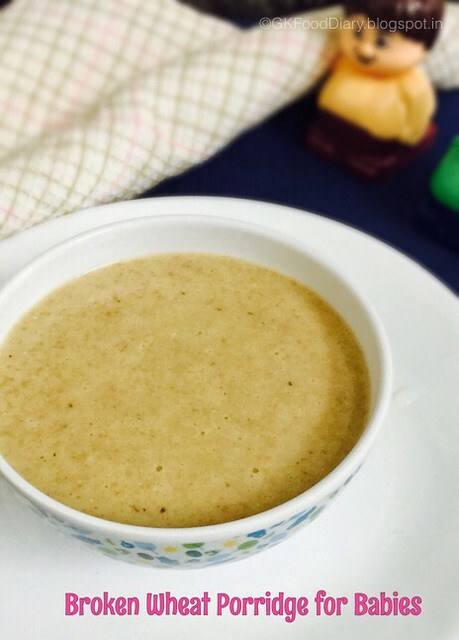 Add cows milk to this porridge after your baby completes one year. 2. Boil cows milk (if using) in a saucepan and keeps it ready. 3. Soak almonds in water for at least 2 to 3 hours. After 3 hours, peel the skin of almonds and set aside. De-seed the dates and keep it ready. 1. Take 2 tbsp of broken wheat in a pressure cooker along with de-seeded dates, peeled almonds. Add 3/4 cup of water and close the lid of the pressure cooker. Pressure cook it for three whistles and open the cooker once the pressure released. 2. 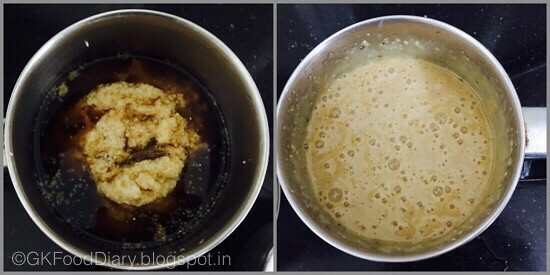 Add 1/4 cup of water to the powdered jaggery and boil in a separate vessel until it melts completely. Then filter out the jaggery water using a strainer. Set aside. 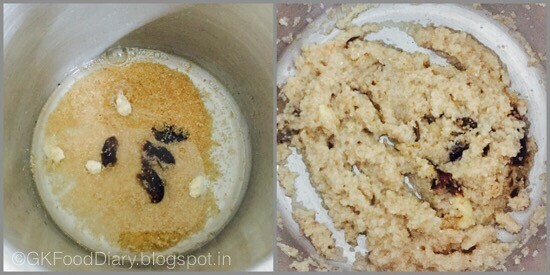 Now take the pressure cooked broken wheat, dates and almonds in a blender along with filtered jaggery water. Blend them until smooth. 3. Transfer the blended broken wheat into a saucepan and switch on the flame. Add 1/2 cup of milk (Skip adding milk if you are preparing this porridge for a baby under one year ) to the saucepan and mix everything slowly with a whisk. Boil the porridge in low, medium flame. Stir it continuously while cooking otherwise porridge may stick to the vessel. Boil the porridge until it becomes thick. Remove from the flame once done and cool it down. 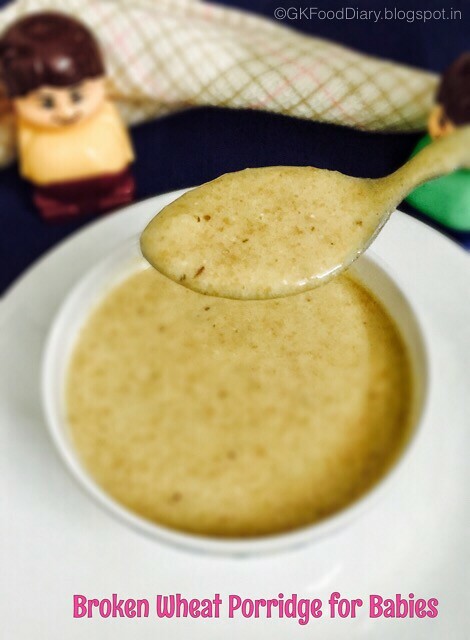 The porridge becomes thick after cooling down. So switch off the flame accordingly. 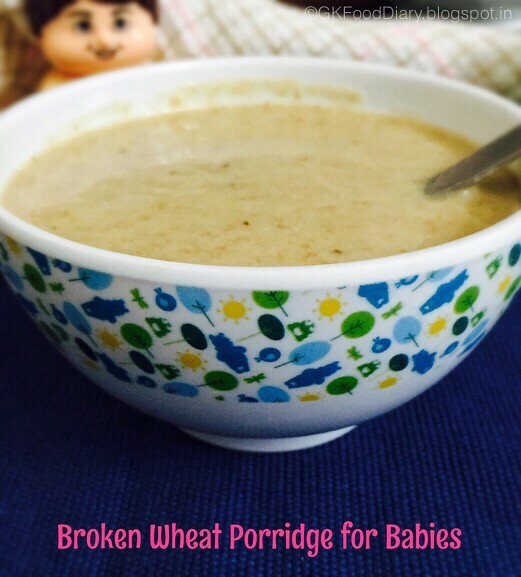 Healthy broken wheat porridge is ready to feed your baby. 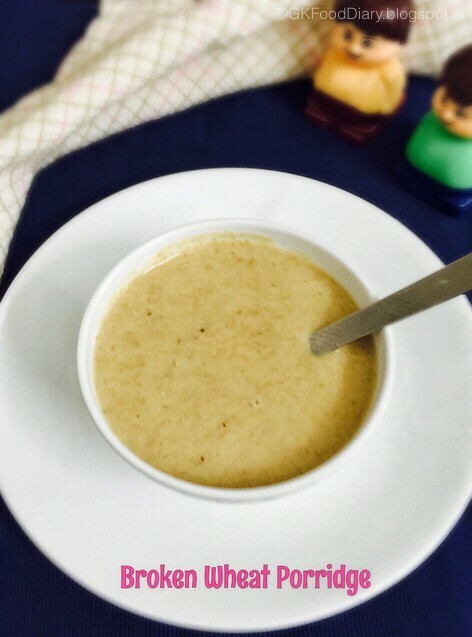 I use fine broken wheat for making this porridge. Soak the cracked wheat for 1 hr and pressure cook if using whole broken wheat. Instead of soaking almonds, you can boil them in hot water for 5 minutes and peel the skin once cooled down. Skip cows milk if your baby is under a year old. Generally, broken wheat doesn’t cause any allergies, but check for symptoms and stop feeding your baby if you find any. I use 24 mantras organic jaggery powder for my baby porridges. Offer this porridge plain when you start. Try to avoid jaggery/ palm sugar/ palm jaggery or any sweetener at least till one year, Add minimal amount than mentioned or prefer sweet tasting fruits/vegetables like apple, banana, carrot, etc. or dry fruits like dates or raisins. 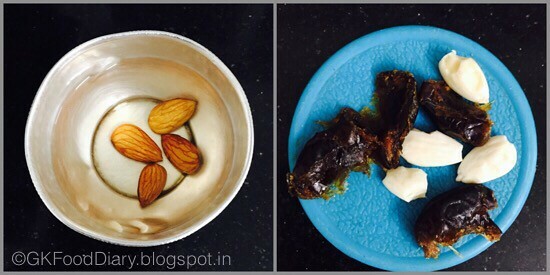 Love the recipe…bt one doubt…does cooking milk nd jaggery together curdle the mixture? Can v tak any precautions for ths? In this recipe milk wont get curdled. 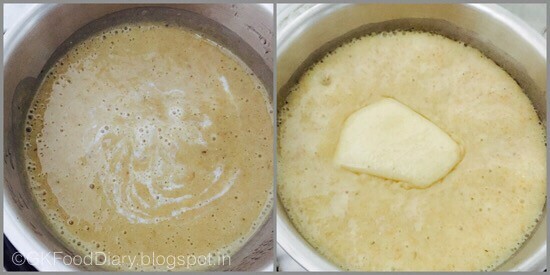 When mixing jaggery with milk either one should be in room temperature, if both are hot chances of curdling is more. Hi if we are going out we can prepare this recipe and we can take it? For how many hours we can keep it? Can I give this porridge for my 6 months old baby? general recommendations to introduce wheat is after 8 months…but can try after introducing rice, dal and vegetables ..and if the baby has no tummy troubles..
WIll broken wheat helps in weight gain in babies??? Hi mam …S it necessary to soak overnight for whole broken wheat ? If using thick or whole broken wheat, soak it overnight for easy cooking. otherwise, it takes more time to cook. Hi the roasted Dalia available in market is fine to be used ?